This wonderful contemporary unit is perfect for a modern home. 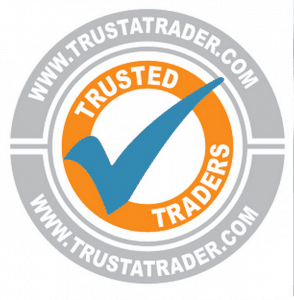 A good quality unit that has been finished to a very high standard. The large pane of heat resistant schott glass provides a perfect view of the fire. 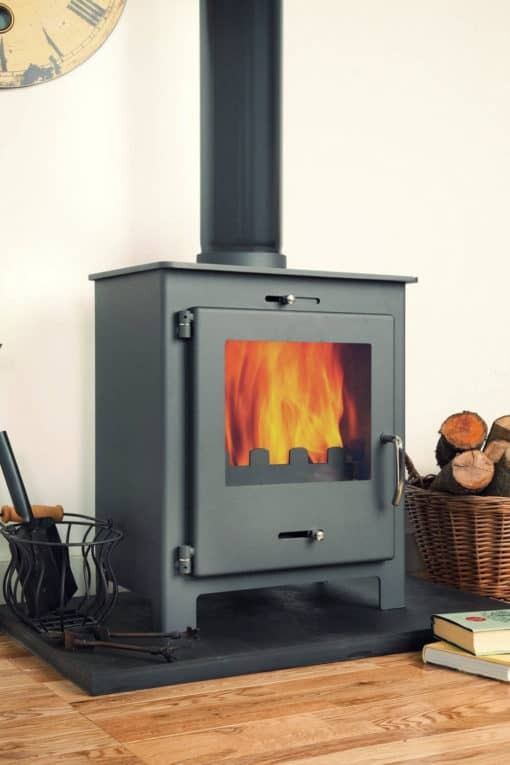 This steel stove is well engineered and simple to maintain. It comes complete with grate, large ash pan, contemporary chrome fittings and oven glove. 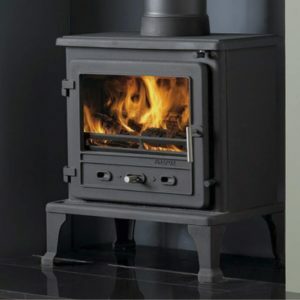 Nero C1 8kw EUROPEAN BUILT stove from the exciting new ZONA range. Built to stringent German DIN standards. Its airtight seals make the stove controls incredibly responsive. 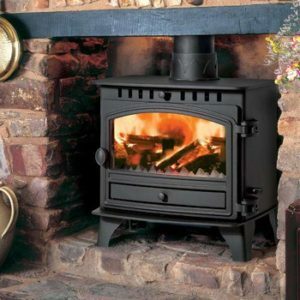 An overnight burn can easily be achieved when burning seasoned wood or smokeless coal. When the vents are completely closed the flames will immediately die down. This shows the stoves efficiency and build quality. 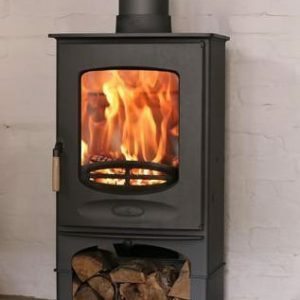 You will not be disappointed with the care and attention to detail this stove has received. This 8kw stove easily has the capacity to cook on its large steel top. Two saucepans will fit on the top.